Home > Competitions and Giveaways > Grab 1 of 500 Trilogy Skin Serums 3Pack!! Grab 1 of 500 Trilogy Skin Serums 3Pack!! It’s your time to discover nature’s power with this antioxidant-packed nourishing serum. 500 Rosapene Radiance Serum packs are up for grabs for you to share with friends and family! 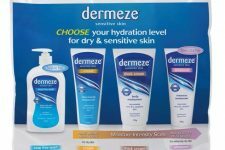 Each pack contains three deluxe Rosapene Radiance Serum minis. For a chance to get your pack follow the link over Trilogy Advanced Natural Skincare facebook page. Fill out the form and submit it! Make sure you subscribe to the newsletter to receive the best offers in Australia. Don’t hesitate to share this offer with your friends. 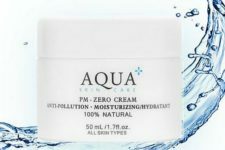 Grab FREE Aqua Skin Care Sample! !